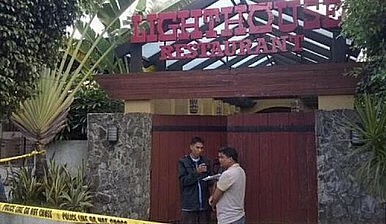 Two Chinese diplomats were killed and one wounded after a disagreement at a private celebration in Cebu, Philippines. Two Chinese diplomats were shot and killed, and a third diplomat was wounded on Wednesday in Cebu, Philippines. The shooting took place in broad daylight at a restaurant in the city. The diplomats worked at the Chinese consulate in Cebu, which is the oldest city in the country and located in the center of the island state. The New York Times reports that the shooting took place at 1:20 p.m. and was perpetrated by a lone attacker who opened fire in private room. The gunman, per the Times, was “a citizen of China and a guest at the celebration.” The Chinese suspect in the shooting is Li Qing Liang, who was arrested by the authorities. The two diplomats who lost their lives were the deputy consul and the finance officer at the consulate, according to the BBC. The third, who was wounded in the attack, is Song Ronghua, the consul general. The Chinese diplomats had gathered at the restaurant to celebrate Song’s birthday. Motivations for the attack remain fuzzy. “We’re still trying to determine the motive for the shooting,” Cebu’s chief police superintendent, Prudencio Banas, noted in the wake of the attack. A handgun was recovered at the scene. The manager of the restaurant where the shooting took place, Stephen John Patero, told the BBC that waiters heard a disagreement in the room before the shots were fired. “They are all friends who apparently figured in an argument,” he said. Reuters provides more information on the circumstances of the shooting, noting that the perpetrator was “the husband of a woman working at a Chinese consulate.” Li’s wife, Guo Jing, was held for questioning by the authorities as well. Li and his wife both tried to invoke diplomatic immunity to avoid questioning. As of writing, few further details exist about the circumstances of the attack. Neither the Chinese nor the Philippines’ foreign ministries have issued public statements. A spokesperson for the Chinese embassy in Manila noted that they were still attempting to piece together what led to the attack. Speculation online initially seemed to suggest that the attack had to do with general anti-Chinese sentiment in the Philippines as relations between Manila and Beijing continue to decline over territorial disputes in the South China Sea and other issues. However, with confirmation that the chief suspect is a Chinese national and a guest of the victims, it appears that this incident is most likely related to a personal dispute and will not bear any diplomatic consequences for the state of the Philippines-China bilateral relationship. Is China Going to Take Over a Major Philippines Shipyard?Xi Jinping Capitalizes on ‘Rainbow After the Rain’ in the PhilippinesMyth-Busting Chinese FDI in the PhilippinesThe Philippines' Approach to North KoreaWhat’s Next for China-Philippines Military Ties?